While 8 films recorded a business of over 100 crores in 2014, there were also 34 Flops. Interestingly, PK in the same year became the highest grosser of all time in India. 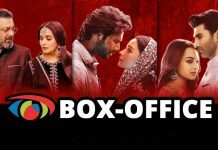 For more interesting Box Office insight, catch box office business of all films which released in 2014 right here!